We have several offers for Web Hosting, hosting packages are built for speed, security, and scalability. We offer free migrations & backups and the best uptime in the industry. All our servers have External daily/weekly/monthly backup. All our servers are running by CentOS Linux, with all the latest stable software for running the websites and applications with out errors. CentOS Servers are running Apache, PHP, MySQL data base, phpMyAdmin, Perl, CSF, and Exim. We provide 'Cpanel' that control Panel to control its website, which will facilitate for the customer to have fully controlled upon its website. For example, customer can create emails and upload files and create MySQL databases and install all the free PHP scripts. 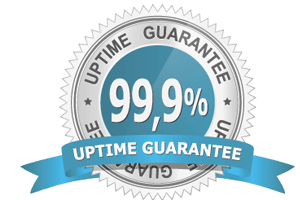 We offer the best uptime in the Web Hosting industry! Proven Uptime Record till this moment 99.996%. 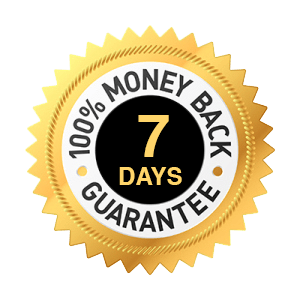 We offer a 7-days money back guarantee for all new customers, applicable to Web Shared Hosting. Its not included for servers. How does LEZR Host work ? LEZR rents high-speed servers in America and Germany with 99.9% data center guarantee. All of our migrated servers operate on the universal Linux system and the cPanle control panel, which is easy to use for customers. What guarantees me the quality of hosting in LEZR Host? We have a guarantee that the amount is refunded within 7 days from the date of service. This is evidence of the stability and security of LEZR Host Services. Customer has the right to refund the amount for no reason whatsoever. What is the difference between the hosting packages offered? The resources of servers are divided according to the web sites packages. When you have higher package, your web site package has more available resources in the server. Other than that, all of our servers are the same that run all the web sites. We recommend that you choose the appropriate package according to the consumption of the web site. How do I transfer my site to LEZR ? The web site transfer process at LEZR is free to all our customers. The customer is required to send controal panel detials to transfer its web site. The transfer process complete within 24 hours and the DNS takes t from 24 to 72 hours to be activated in all countries in the world. What about the security of LEZR ? We have schedule to scan the servers weekly and send reports for infected web sites owners. Also, we have powerfule FireWall and DDOS Protection to protect the servers from the ddos attacks and SQL Injuection. How can I create my web site ? You can use the Website Builder tool to create your website and design the web pages by yourself. Otherwise, you can request the design and development of your site from LEZR in the web development to provide the offer for you.